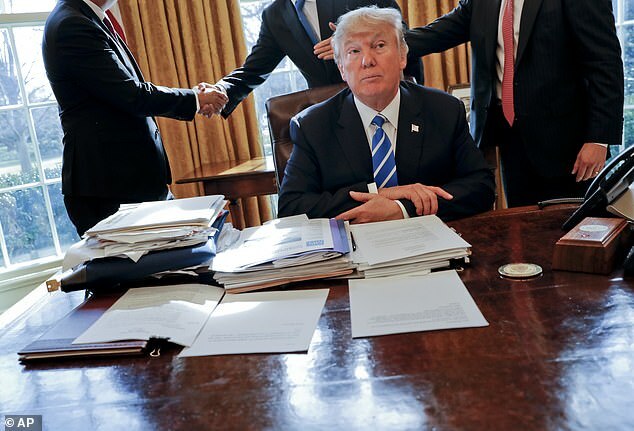 That left out two words: ‘traditionally dense,’ which the Post used to describe the daily briefing book that presidents have oten perused during their morning hours. The Post reported on Trump’s intelligence consumption habits a year ago, in February 2018. 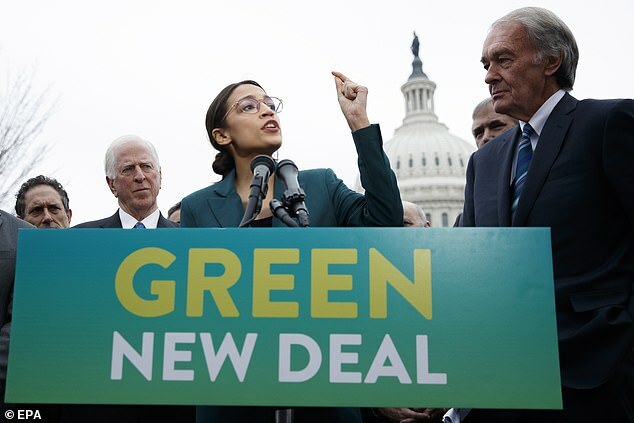 The Green New Deal itself has become the subject of mockery online as conservatives lampooed Ocasio-Cortez for a communications rollout guide, produced by her chief of staff, that argued for a range of environmental remedies including phasing out all air travel and eliminating ‘farting cows’ from U.S. agriculture. 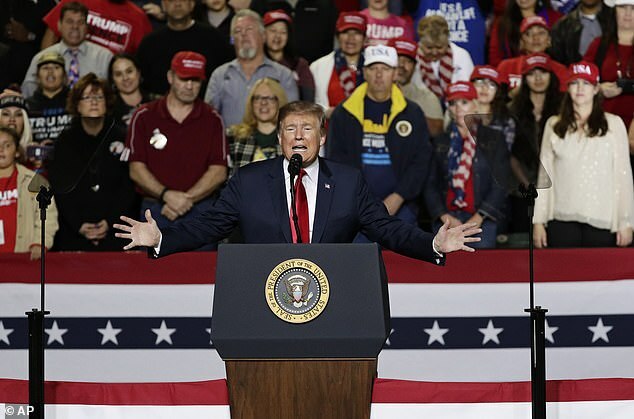 It also proposed to guarantee economic security for Americans who are ‘unwilling to work.’ Ocasio-Cortez has since disclaimed that stated goal. 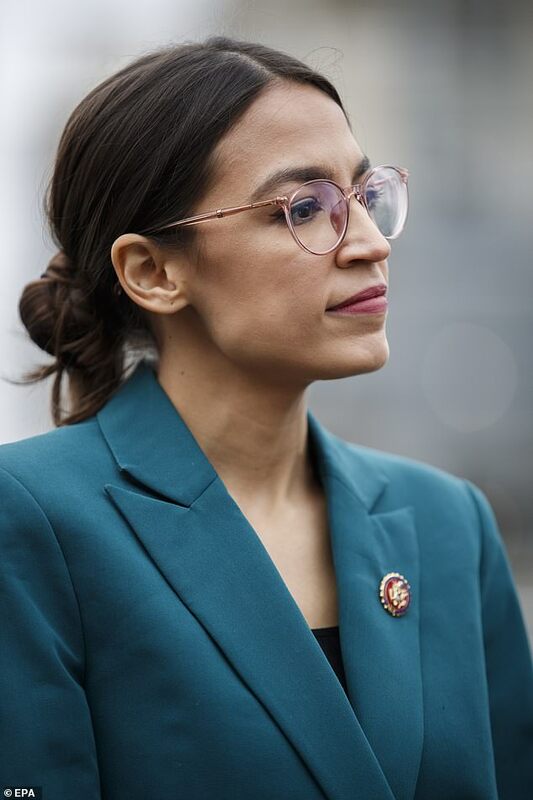 On Monday night she appeared careful to cite the narrowly drawn Green New Deal ‘House Resolution’ rather than the more chaotic planning document. That resolution, which has not attracted enough support to pass, would be non-binding. it consists of a series of ‘whereas’ statements and a conclusion that 15 broad actions are needed. No details or action plans are included.